Then I received a letter to report to Bulford Camp as Heavy Goods driver in RASC where I did my Army training and later sent to Blandford Holding Company. Percy’s time working as a heavy good’s driver for the army, during World War 2, takes up a huge part of his autobiography. Leaving his family behind in Croydon, he reported for duty and completed his army training. He journeyed across much of Britain and Europe, working for different companies, transporting goods and soldiers from place to place. Percy never fought in the war, so if you are interested in what it was like for those working class men in combat, check out Jack Lanigan‘s view of War and Memory. Known as the ‘People’s War, World War 2 was viewed as ‘just war’ as it was a fight against the fascism of Nazi Germany. British people felt pride in what they were fighting for, a different mind-set than during the World War 1. For many people the Second World War is reminisced with fondness, as it was a time in which class barriers were broken and traditional gender roles inverted. Rationing meant that all food was distributed evenly between those on the home front, regardless of their class or status. For women, it was time in which they had to take up male roles and jobs when the majority of working men were fighting. Percy focuses mostly on his positive memories of the war. 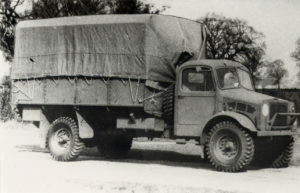 After working for a company transporting lorries from Hull to Kent, he was transferred to Bedford Lorries in Plymouth, Devon. 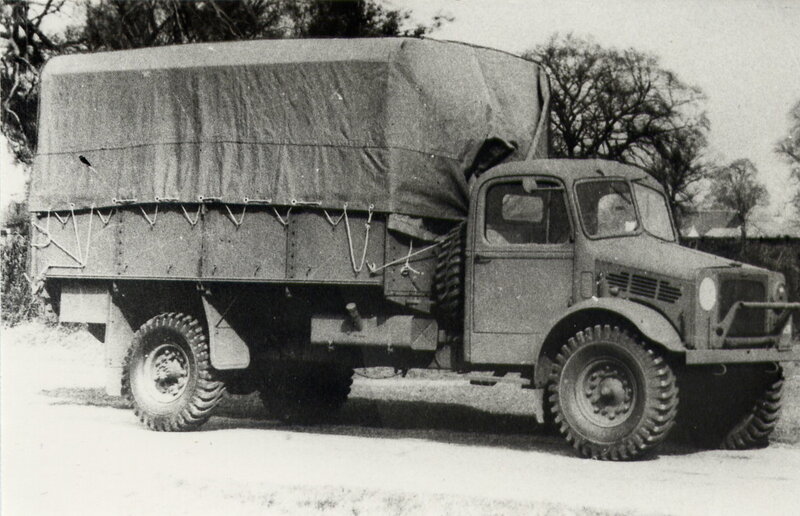 He recalls becoming very ‘pally’ with two other heavy goods drivers. 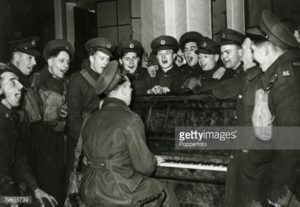 The image of this is a classically British one, the community coming together to sing with the soldiers. It was a way of celebrating the strength a resilience of those involved in the war. Shortly after this, Percy and his two friends began employment which a different company, in which they were instructed to a ‘Vehicle Reserve Depot (VRD)’ near Bagshot. They collected and transferred many home guards to the rifle ranges on the Cornish coast as well as taking civilians to the moors at night due to the severe bombings. This highlights one of the very few recollections of the horrors Percy experienced. Overall, his memoir and recollections of the war are very similar to those who also wrote about their memories. As Michael Roper discusses in Re-remembering the Solider Hero…‘However popular memory approach tends to underplay the significance of the events of war themselves, and the unconscious processes associated with them, in shaping memory.’ (Roper, 199) Although many of those on the home front experienced more trauma than those in combat and I believe that Percy does underplay the horrors that he experienced and heard from others. He never goes in to details of the ‘hair-raising’ stories that he heard from those civilians who had lost everything in the bombings. 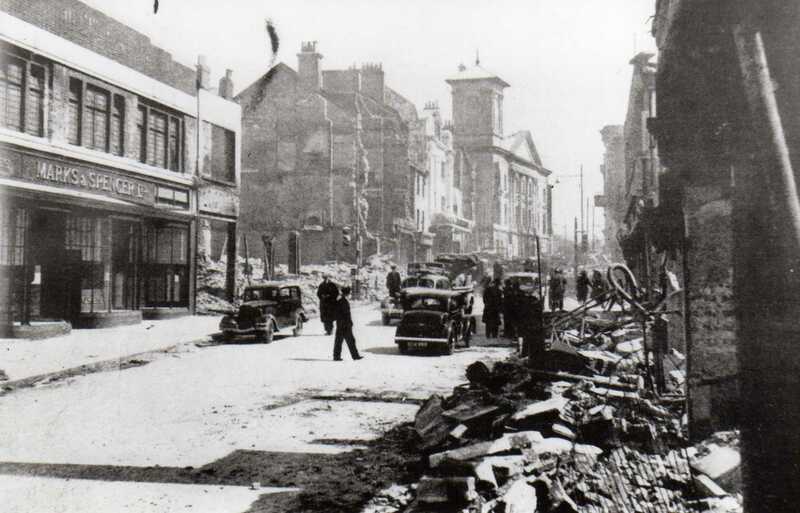 Fore Street, Devonport after the Blitz in 1941. His memories of the war may also have been affected by the commemoration of those who fought for the war. There was a declaration after the war that Britain would be a ‘land fit for heroes’ and the ‘People’s War’ lead to the ‘People’s victory’ and the ‘People’s election’ in 1945. This made the view of the war a more positive one, a celebration of Britain’s victory and freedom, a prideful commemoration that celebrated the bravery of the soldiers who died fighting for their country. The winning of the war marked a new era of peace for Britain, something that will forever be seen as a great achievement. Post will be continued in War and Memory Part 2. Laura Shilcock, War and Memory, War and Memory, Jack Lannigan (1890-1975), Last accessed: April 1st 2017.